I had lots of crafty time this week, as my younest daughter finally started school on Tuesday. 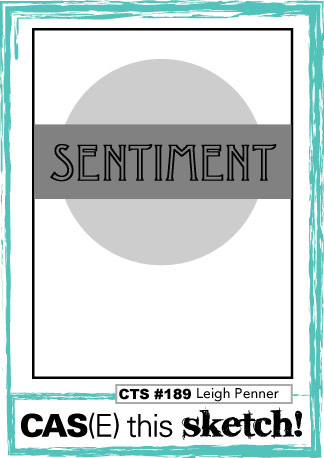 First up is a card using this week's Make it Monday #260: From Black and White to Color. I am also entering this card at Simon Says Monday Stamp It challenge. Next up is a back to school card for my neice, who is working on her teaching credential. 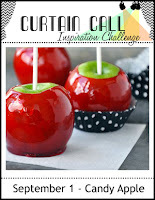 This card was inspired by the photo at Curtain Call: Candy Apple. I am also entering this card at Simon Says Wednesday Stamp It challenge. And another version for the neice who's college has an elephant for their mascot. This one uses the colors of a peacock and I am entering it at Less is More #292. Last up is a card using a fun China Town cover plate die. My design is inspired by the sketch at CAS(E) this Sketch #189. 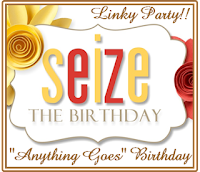 I am also entering this card at Seize the Birthday. Loving your Chinatown card too what a sensational CAS way to use these great dies! What a great selection of cards! The MIM card is such a nice design with the colors in one corner. Busy busy as always! I really love the rich ink colours on the first card - smooth and perfect! What inks are they? Love how you personalized the alphabet cards and the Chinatown scene is so cool! What a treat to stop by when you've had some crafty time! LOTS of fabulous inspiration here Joyce!! I love the alphabet card with the apples, just perfect!! I always love seeing your variety of cards, Joyce. That alpha stamp is great and can be used with so many different things, like apples and elephants. ;) Your MIM card is wonderful. I love that technique. What a fun card for your niece. Cute little elephant and perfect colors for our challenge. Thanks for sharing at Less is More! So beautiful.. two wonderful cards.. happy school being back in makes you so creative.. Wonderful designs, Joyce. Loving your spotlight colouring on your first and what a great design for back to school cards. Loving the little elephant. You've had an awesome week creating. These cards are all adorable! Love them! Thanks so much for playing with us at Curtain Call! Consider the MIM technique mastered, Joyce; your card is gorgeous! 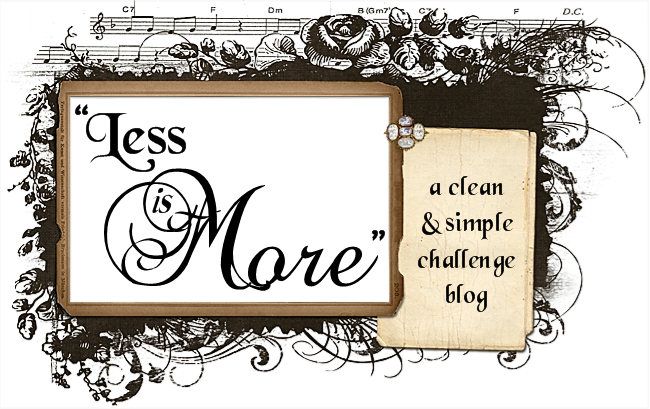 Your chalkboard alphabet teacher cards: totally smitten! Is that a stamp? If so, I 'need' it! So many possibilities (as you've made clear!). Your China Town celebrate: bold and lively! I'm smiling allll over my face in having visited; day sparkling! Love your chalkboard background, Joyce, and the bright red apples just bounce off of it - great design and take on the challenge! Thanks for sharing this with us at the Simon Says Stamp Wednesday challenge! Love the chalkboard alphabet in the BG! Thanks for joining us at The Curtain Call. Fantastic cards Joyce. Love the spotlight stamping on the first card. The alphabet background looks great on the second card with the sweet apple. Nice die-cuts on the third. Thank you for playing along with us at the Curtain Call Inspiration Challenge. Looks like you a very productive crafty week! Love the design on your MIM card. The color and sentiment look great as a corner highlight. Great choice of colors on your first card with your focal image off to the corner, Joyce! Your alphabet cards turned out really cute and so personalized for the recipient. And, your final card is so rich with the red, black and white combination. What a fabulous trio of gorgeous cards! I love your first card with those beautiful flowers but your but your sweet ChinaTown card warms my heart, so many fun memories going there with my family when I was young! That first card is my favorite; the difference from black&white to colouring looks so fresh! The letters on the "BtS"-cards look as if you really used a schoolboard and the celebrate banner on the last looks beautifully crisp; reminds me of an add... Hope you have a fun sunday! Lots of fabulous cards here, Joyce! So glad you're finding time to create again. I love the alphabet backgrounds!! Oh it's fun visiting you! So many beauties today. Loving the chalkboard look with the apples. So simply stunning! Have a great week! Such a fun post, Joyce! You did an amazing job on the Black and White to Color technique...your card is so pretty! I also love your chalkboard cards with the pop of color, and your Chinatown Cover Plate is so striking in red...so fabulous! Oh, these are all wonderful! I especially love the chalkboard look on the second one with those darling apples! You created some gorgeous designs on your crafty week--love them all! These cards are all terrific! The crisp colours & terrific dies you selected are perfect on the Celebrate card. Thanks so much for playing along with Seize the Birthday.